Our parent company OCOSA, just announced that they have established a business relationship with Level (3) as their upstream. For CubixCloud that means our bandwidth just keeps getting better. We connect to OCOSA directly in Tulsa, Oklahoma, USA. We can leverage our partnership with OCOSA to help your business. You can update your websites, applications and servers to be connected with the world over IPv4 and native IPv6 addressing. Contact us now at sales@cubixcloud.com to see how we can help you. We are sure many of you have big exciting plans for today. If you do not have plans for today, we have list of things you can possibly do below. Don’t worry about the 4th of July promotion if you won’t be able to order today, it won’t end until the 8th of July. Use coupon code JULY1776, to receive $5 off any new purchase of CubixCloud VPS Plans only located here http://cubixcloud.com/vps.php. This coupon expires on July 8, 2013. Order now while we have spots available. *Addons are an additional fee. Addons are DirectAdmin, Plesk, cPanel, WHMCS, Softaculous, Installatron, RVSkin, RVSiteBuilder, and etc. Open a ticket with sales for details and special offers. TULSA, OKLAHOMA, USA & ONTARIO, CANADA – January 25, 2013 – OCOSA Communications, Oklahoma’s leading provider of Hosting and IT Professional Services announced that it has acquired Canadian-based CubixCloud Web Services a leading provider of affordable VPS hosting. CubixCloud will operate as a new division of OCOSA. Since then, OCOSA has been working closely with the founders of CubixCloud to make this transition as seamless as possible. “We are excited to have completed the CubixCloud acquisition in partnership with OCOSA Communication, LLC in Tulsa, OK, USA. This will allow CubixCloud to improve and expand to better serve customers’ needs. CubixCloud has an excellent track record of growth and success as well as impressive industry leadership. OCOSA is an extremely successful business with a history of innovation in Internet and data center solutions. Their unmatched customer service is prominent and taken seriously because the team believes that every customer’s needs are mission critical. We can’t wait to see what OCOSA will bring to CubixCloud and we wish them the best,” said Eric Andrews, Co-Founder of CubixCloud Web Services. “The CubixCloud acquisition is very exciting for us and will enable OCOSA an extraordinary opportunity to provide affordable VPS solutions. We plan to return CubixCloud’s discontinued services. We are very grateful for this opportunity and do not take the founders and their hard work for granted. We are looking forward to improving and providing unmatched service. We welcome CubixCloud customers to the OCOSA Family!” said Otis Surratt, Jr., President of OCOSA Communications. OCOSA Communications is a Tulsa family owned and operated facilities-based provider. From hosting to connectivity and data center to IT consulting, we can customize a solution to fit your needs. We understand the small business and specifically the cycle of business. For a decade we have been tailoring solutions for businesses in almost every vertical market. More information is available at http://www.ocosa.com. CubixCloud Web Services is the trusted provider of OpenVZ VPS hosting. Many Businesses and individuals worldwide, everyday depend on CubixCloud to manage their IT Server Infrastructure. More information is available at http://www.cubixcloud.com. Hey everyone! The CubixCloud “Second Year in Business” Giveaway has concluded! We picked winners at random from our new & existing customers who purchased new CubixCloud services between August 21, 2012 and September 9, 2012. Please congratulate our grand prize winner, Ryan from OrangeSoda.com, who won a brand new Apple iPad 3! Also, we would like to congratulate our 2nd place winners, customers Andrew Goldenberg and Erie Putranto, who will each receive a free 512 MB VPS for 3 months! Thanks guys! Thank you to everyone who entered the giveaway by purchasing new CubixCloud services! We are constantly working to improve and refine our services and support to achieve our goal of becoming the world leader in the global web hosting market. With many future plans in place, we’re looking forward to many years ahead. Here’s to another year in business! 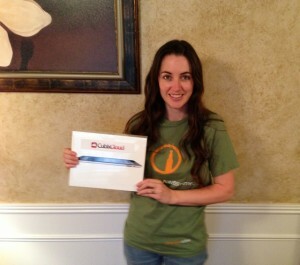 CubixCloud’s Second Year In Operation and iPad 3 Giveaway! After one year of serving the Web hosting community, we are excited to continue moving forward and announce two giveaways for our new and existing customers. Since the beginning, CubixCloud has grown from a small hosting company with just one server into an industry standard hosting provider with many servers under management and for lease. CubixCloud provides web services and solutions built with speed, stability, security, and support in mind. We realize there are many other Web Hosting companies to choose from but we know the features we offer, bundled with our great support, is what make us the better choice for you. We are confident that you won’t find a better hosting experience anywhere else. In celebration of CubixCloud’s 2nd year in operation, from now until September 9th, you’ll have a chance to win a brand new 16GB Wi-Fi Apple iPad 3. This offer is valid worldwide. Each product or service purchased from CubixCloud (excluding Domain Names) between now and September 9th will give you one chance to win. Every new service you sign up for increases your odds of winning! No Gimmicks or Catches, this is a 100% Free Apple iPad 3, which is brand new and unopened in its original box! The contest will end at 11:59pm EST on September 9th, 2012. The winner will be chosen at random, and announced on September 10th 2012. We will send an e-mail to the winner and they must confirm their address within 72 hours. We will also be drawing two winners for free VPS service on September 10th. The winner must have an active service with CubixCloud, which was purchased between August 18th and September 9th, which is not in the refund or cancellation process. CubixCloud reserves the right of final decision should any dispute arise. If the winner lives in a country that cannot receive an iPad via UPS Priority Shipping from the US, we will make a deposit of USD $499 to his/her PayPal account. Here at CubixCloud Web Services, we are always looking for ways to expand and improve. Recently, we began offering new services and with that, a new website. Over the last three weeks, we’ve managed to get many new customers to help us test out our new VPS servers and other offers. We’re happy to announce the launch of our new website and offers. Just this week, we pushed the beta website live at http://cubixcloud.com. VPS Plans – We have moved all virtual private server nodes to Chicago and are offering a range of new virtual servers. With this, we offer 1Gbps network speeds, more secure drives, additional add-ons, improved support and all around better servers. From $5.99 to $39.99, we are sure you will find the perfect virtual server to meet your needs. VPS Reseller – By purchasing a reseller resource package, you will be able to create custom virtual servers to offer to your clients under your own business name and keep the profit! We will manage the system for you. You don’t need to worry about system administration, a task which sometimes becomes difficult for new VPS providers. A top goal for our reseller plans is keeping it simple, affordable, and practical. Master Reseller – The pricing for this feature is currently not available. If you have a reseller account already, or you’re looking to get one, contact us to add Master Reseller for a low price. Begin selling reseller accounts to your customers today! As always, if you have any questions, please submit a ticket and we will get back to you as soon as possible. Remember, custom plans are available for almost all services. Also, be sure to follow us on Twitter, @CubixCloud for updates. Welcome to the CubixCloud blog. Here is where we post some reviews, updates, news, and much more. Don’t forget to follow us on Twitter for updates!